Following an eight-year review of medical death data, Johns Hopkins Medicine released a report in 2016 that there are an estimated 250,000 deaths per year in the United States due to medical error. According to the Johns Hopkins study, this would make medical errors the third highest cause of death in the country. One of the concerns noted in the study was that the CDC does not adequately classify deaths due to medical error, and so it’s difficult to identify exactly how many of these deaths occur each year. It’s even more difficult to calculate how many deaths are attributable to specific kinds of medical errors. It has been estimated that thousands of people die each year due to surgical errors, making it one of the most common types of medical malpractice claims. If you’re suffering following complications from surgery, this post will review some of the common issues that we’ve seen in handling surgical error cases. It may seem hard to believe that the errors below happen, but they unfortunately happen more frequently than you think. Leaving foreign objects inside the patient such as clamps, scalpels, sponges, and pads. Performing the wrong procedure – the surgeon performs the wrong surgery as a result of administrative errors causing a mix-up of patients. Operating at the wrong site – the surgeon performs the correct procedure but at the wrong location. Nerve damage and punctured organs – during surgery, even a small slip of the hand can result in severe nerve damage. Anesthesia errors – most people worry about too little anesthesia, but too much anesthesia can deprive the brain of oxygen resulting in brain damage and even death. There are, of course, many other errors that can occur. If you think something went wrong with your surgery, an experienced medical malpractice attorney can give you advice as to what steps you should take. Surgeons are highly-trained medical professionals that have years of schooling. How do these seemingly glaring mistakes happen? Incompetence: Despite years of training, it could be the case that the surgeon does not have much experience in performing this particular procedure. Fatigue: Due to heavy workloads and notoriously long shifts, surgeons may make mistakes simply due to being tired. Performing surgery while under the influence: Physicians have a high incidence of drug and alcohol problems according to various studies, and these problems often bleed over into their professional lives. It seems hard to believe, but some medical errors have occurred due to surgeons operating while under the influence. Administrative Errors: Support staff may not have made sure that the proper equipment or materials were on hand during the surgery or that it was ready for use. Administrative errors can also lead to patient misidentification or scheduling the wrong surgical procedures. Poor preparation: Surgery requires a lot of preparation, and surgeons and other medical staff can fail to prepare adequately due to unreasonable workloads or for other reasons. In almost every instance, these errors are the result of simple negligence, either on behalf of the surgeon and medical staff or the hospital itself. 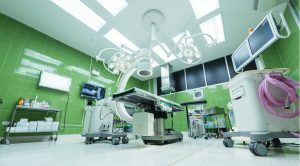 Negligence during surgery can have devastating consequences, and by law, can mean that the surgeon or the hospital can be held liable for the patient’s injury, suffering, and other losses. Slappey & Sadd have been helping victims of medical malpractice across the state of Georgia since 1992. If you think there may have been errors made during your surgery, schedule a free consultation with one of our experienced medical malpractice attorneys – just send us an email or call us at 888-474-9616.